Munich - Having ripped up the turf at both clubs, anarchic Bundesliga legend Stefan Effenberg sure knows a thing or two about Borussia Mönchengladbach and FC Bayern München. bundesliga.com: Mr Effenberg, could you ever have guessed the first game of the Bundesliga restart between your two former clubs, Borussia Mönchengladbach and FC Bayern, to be a top-four clash? 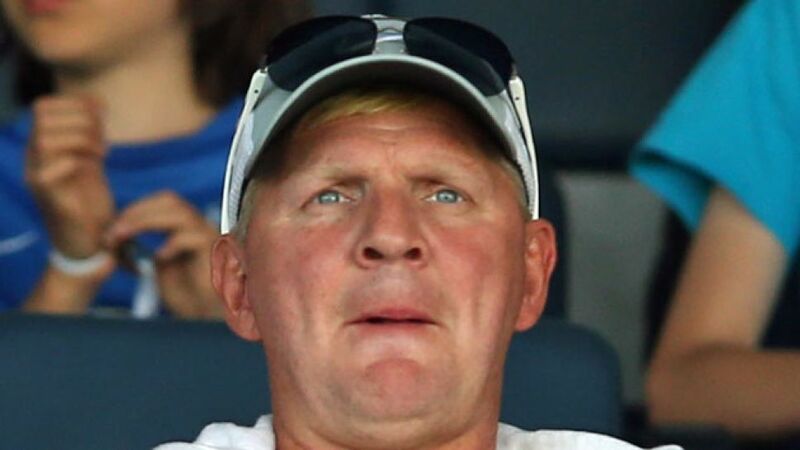 Stefan Effenberg: Sure. Gladbach almost took a point from the return fixture in Munich and have always made life tough for them in the past. Borussia’s success doesn’t surprise me. They’ve strengthened, found themselves and play as a team. bundesliga.com: How much of Gladbach’s success is down to head coach Lucien Favre? Effenberg: I’ve said it many times: Gladbach’s most important signing over the last few years was Lucien Favre. He’s really put his stamp on the team. Thanks to Favre, Gladbach are really disciplined. That’s important if you want to be successful. bundesliga.com: Can Gladbach establish themselves as one of the big boys in the future? Effenberg: I’d really like that, but the problem in the past has been keeping hold of the top players like Dante, Marco Reus and now Marc-Andre ter Stegen when the big names come knocking and throw money about. That can weaken Gladbach, even if they’re well compensated like when Reus went. It’s probably not enough to take them to the very top, but I already see them behind established teams like Bayern, Dortmund, Leverkusen and Wolfsburg in the pecking order. bundesliga.com: What do Gladbach need to do to kick off their Rückrunde with a home win? Is a good day going to be enough? Effenberg: No, it’ll take more than that. Bayern have to have a bad day, too, but Gladbach mustn’t shy away from it. With Reus, their game was about quick counters. Now Gladbach play with real attacking intent with [Juan] Arango, [Patrick] Herrmann, [Max] Kruse and Raffael. Bayern will have to watch out for that. It’s certainly not going to be a walk in the park for them. bundesliga.com: Can anything stop Bayern from winning the title? Could the competition for places cause unrest in the squad? Effenberg: No, I don’t think so. The players are professional enough to know that with such a heavy workload during the second half of the season, they’ll need and get one or two breaks. A squad like that is one of the strengths of a top side - to be able to recover from setbacks. bundesliga.com: Is it also an indication of Pep Guardiola’s class? He’s known for his rotation. Effenberg: That’s the bread and butter stuff when you coach such teams. A top coach has to get those things right and Guardiola’s doing that. Ultimately, it comes down to success. It’s always been important to have a peaceful environment at Bayern. That’s how it was last season and it’s the same this season. bundesliga.com When a team plays with such dominance like Bayern, is there anything significant you can change or teach in training during the winter break? Effenberg: There were definitely a couple of situations that caused problems for Bayern during the first half of the season, but all in all they played really good football. So there’s probably only been a little bit of tweaking here and there during the winter break. bundesliga.com: Do you think there are any areas of the Bayern squad that need attention? Effenberg:Signing Robert Lewandowski is big news. We also don’t know how long it will take Holger Badstuber to return to the necessary level after injury, so maybe there’s a gap at the back. If that’s the case, they’d have to bring in a top-class player. Otherwise it’s pointless. bundesliga.com: Are all players under scrutiny at the end of the season? Effenberg: Yes, it should always be like that. Obviously some players will always have their places, but everyone still has to prove themselves anew. Die Münchner are always being hunted, so concentration levels have to be consistently high. Those responsible behind the scenes like Karl-Heinz Rummenigge, Uli Hoeneß and above all Matthias Sammer make sure it never implodes, especially before games like this one against Mönchengladbach. bundesliga.com What do you think will happen at Borussia Park? Effenberg: Gladbach won’t sit back. They know what a good side they’ve become and have gained the respect of the other sides. Bayern are still favourites and will definitely have more of the ball. It’ll be difficult to stop them if they find their feet first, but Gladbach are capable of scoring anytime. I can quite easily see it ending in a draw - maybe 1-1.